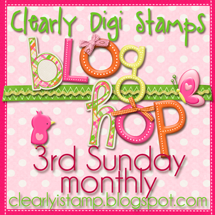 So happy for your participation in our blog hop last Sunday. We changed things up this month and offered up one digi from each Participating Design Team Member's Blog. Here's the list of winner's. oh --what fun to see my name listed! Thank You!! Rcvd email from Lisa along with the wonderful digis. All digis loaded & opened ok. Thanks. Congrats to all the winners. Thank you so very, very much for the hop and the wonderful digital set with papers! I am excited to us them! What a blessing! Have a wonderful day!